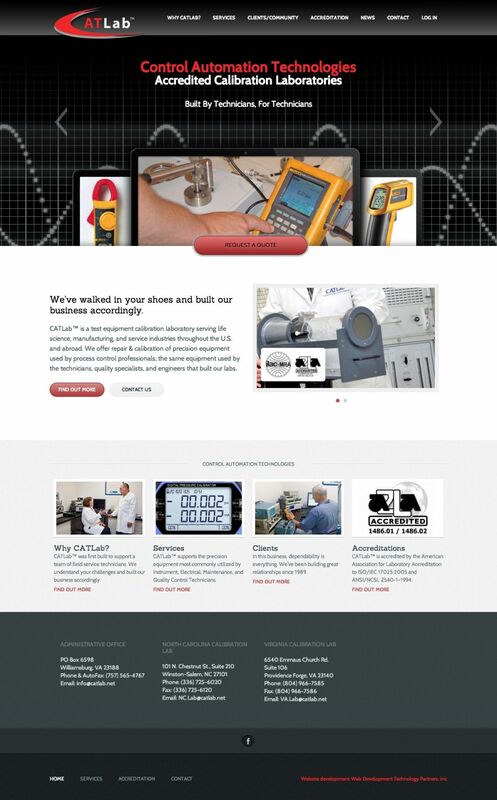 CATLab Calibration Services - Web Development Technology Partners, inc.
I’d like to thank you for your creativity and efforts to develop a much-needed upgrade to our Web site, www.catlab.net. Although it has only been published for a few days, we are already receiving compliments from staff and customers. In addition to the creative skills demonstrated by you and your staff, the overall experience was one of professionalism. You clearly outlined the project procedure and followed it to the letter. I was introduced to your company through one of your previous clients and will act on any opportunity to recommend you to future prospects.